Thornham Village Hall shows a variety of theatre performances from the West End, including drama, opera and ballet. 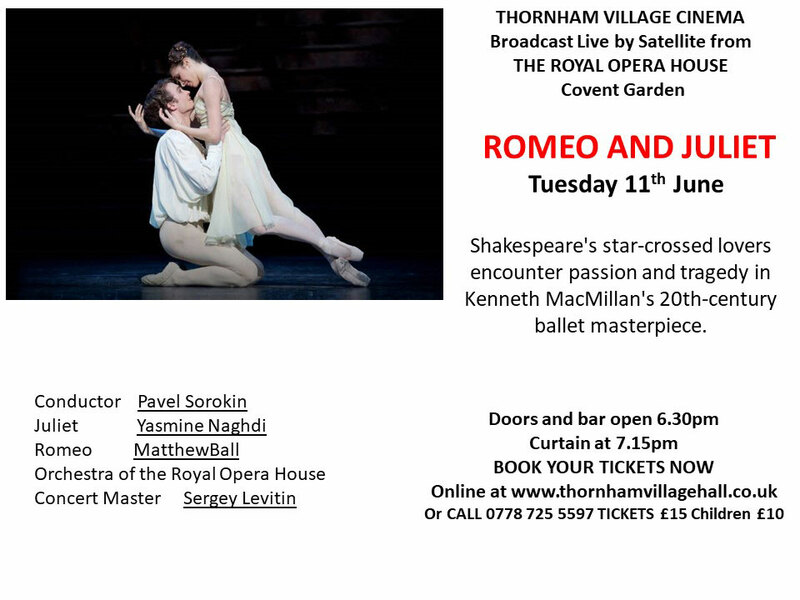 Live performances from Glyndebourne are also shown with the opportunity for a pre-performance picnic. 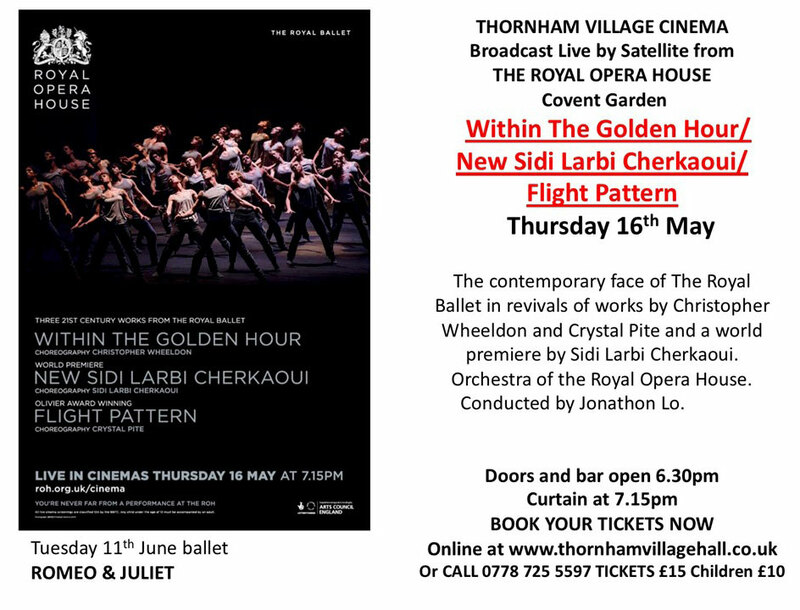 Comfortable seating in an air-conditioned and spacious environment, modern facilities including facilities for the disabled, and a well-equipped bar selling preperformance, as well as interval refreshments, including ice creams, makes a trip to Thornham Village Cinema well worth the visit. 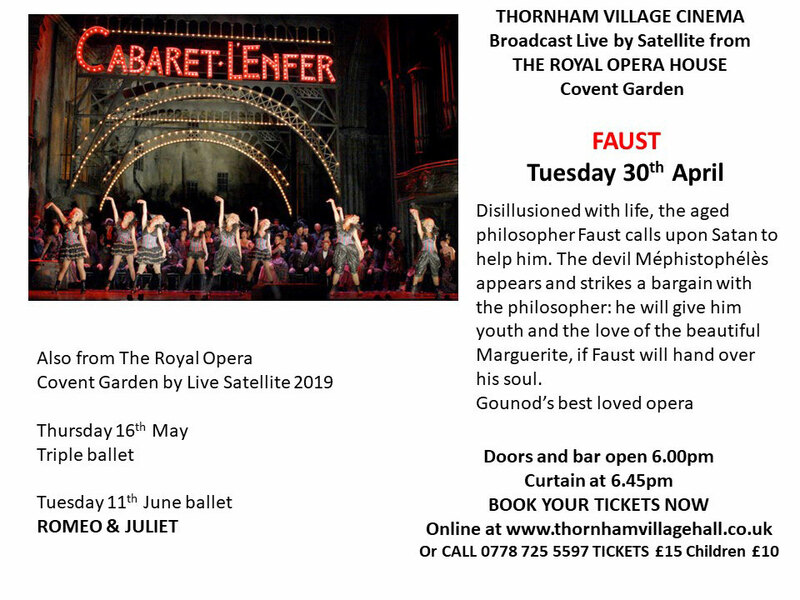 Tuesday 30th April 2019 - Village Hall - Doors and bar open from 18:00 - curtain at 18:45 - Tickets £15, Children £10. Thursday 16th May 2019 - Village Hall - Doors and bar open from 18:30 - curtain at 19:15 - Tickets £15, Children £10. Tuesday 11th June 2019 - Village Hall - Doors and bar open from 18:30 - curtain at 19:15 - Tickets £15, Children £10. Please note: click the book button next to the production you would like to book and then on the next screen click the tab marked TICKETS (next to DETAILS) to order your tickets and you can then select the number of tickets required.